Where did you come up with this idea and how does it differ from other creative nonfiction anthologies? SP: When I was in graduate school at the University of Idaho in 2006, I loved the discussions about creative nonfiction that we’d have in Mary Clearman Blew’s Techniques of Creative Nonfiction. But it often seemed as if it was just our class talking to ourselves, we were dancing in tight circles. There was no larger conversation going on that we could be a part of. There were no articles written about the pedagogy of creative nonfiction that we were aware of. So we had nothing to push us further into a discussion on what creative nonfiction is or where it could go or how it could challenge itself. That void made me want to find the splintered conversations going on in classrooms and bars and conferences and bring them together in a collection that creative nonfiction writers could gather around and join in with. And what we were going for here is to find the newest conversations, the ones farthest away from the center. So our writers do not wrestle often with the more traditional ideas. Instead, they linger of the edges. 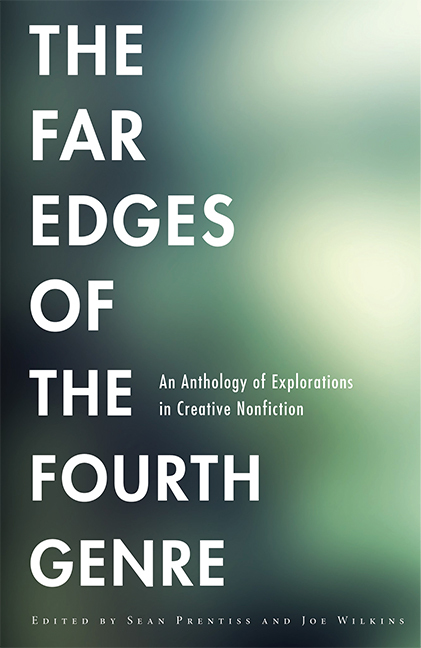 What are some of the important conversations The Far Edges of the Fourth Genre explores and why are these conversations important in a larger context? SP: Our authors explore a wide range of conversations, which is one of the fun things about this anthology. It meanders across and deeper into so much of creative nonfiction. Mary Clearman Blew leads us into her entry into creative nonfiction, which allows us to see how our view of creative nonfiction has evolved in the few decades since creative nonfiction has been taught on campuses. Brenda Miller, Ander Monson, and Jon Rovner all look at how technology affects creative nonfiction. Nancer Ballard and Bob Shacochis examine the use of time in creative nonfiction. Erik Reece writes about the need to bear witness in our writings. Lee Barnes, Joe Wilkins, and I delve into different corners of memory. And Kim Barnes and Brevity‘s Dinty W. Moore examine why we write and how to boil that reason to the surface of our writings. These conversations are important because they allow writers more space to play, more styles to write within, more borders to explore, more questions to ask, more answers to contemplate. How could this anthology supplement the classroom experience for creative writing students? SP: When I taught senior level creative nonfiction classes, I often had to piece together readings for my students. I kept looking for a single text that advanced students (seniors or grad students) could read that would create a semester’s worth of dialog on creative nonfiction and re-shape how they write creative nonfiction. So this book is designed to fill that niche. Judith Kitchen offers an essay that is also a writing prompt on speculation. Robin Hemley teaches us about interpreting life. Joy Castro shares her beautifully written essay, “Grip,” and then she explains how and why she wrote “Grip.” So the reader gets an insider’s view of writing, gets to live in the mind of the writer. How has creative nonfiction evolved over the last few years and what directions do you anticipate it going in the future? SP: It has moved away from memoir told chronologically, which is what we studied a lot in grad school. Back then, creative nonfiction felt as if it was static, as if there was little room to explore. You started at the beginning of your story and created scenes that carried you to the end. But that has been blown apart. We have so many experimental slivers of creative nonfiction popping up. The lyrical style that Lia Purpura writes about in her essay “Advice and on Writing ‘Advice. '” The use of translation of a life that Hemley writes about really explodes biography. The heavy use of speculation to arrive at truth that Kitchen delves into. The research heavy essay that Nancer explores. The mythologies of memory that Lee Barnes writes about. What excites you most about creative nonfiction? What are some potential concerns you have for the genre? SP: I am excited for the growth within creative nonfiction. There is so much room for so many styles of writers. And that didn’t always seem to be the case. I’m excited about the new discussions going on in the other anthologies and in magazines and lit journals, all the new pedagogical ideas being discussed. It’s as if we are watching creative nonfiction transform from a teenager to an adult. Individually, I’m excited for our discussions on memory and truth. I have no concerns about creative nonfiction. I have had plenty of arguments with friends about creative nonfiction—what it is, what it can do, and where it should go. At the end of those debates, I might not agree with my friends’ ideas. But I love the space these disagreements allow. These spaces allow for new styles of creative nonfiction and new ideas on what creative nonfiction is and where it can grow. Steve Coughlin‘s poems, essays, and stories have appeared in the Gettysburg Review, New Ohio Review, Michigan Quarterly Review, Gulf Coast, Pleiades, Seneca Review, and Slate.com. He has never won a Pushcart Prize. I’ve read this book and it’s delicious, a feast. It seems to fill such a pressing need: a text for intermediate and advanced cnf classes. Thank you for giving creative nonfiction a voice. 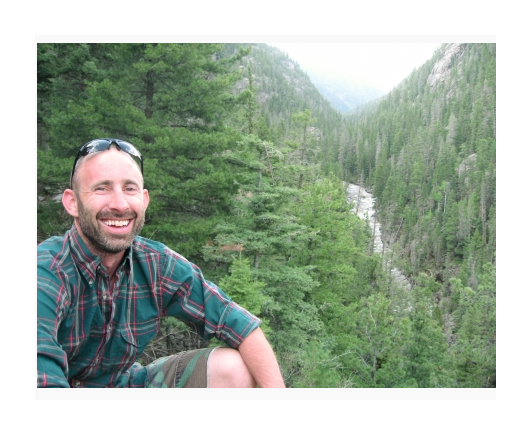 You are currently reading The Far Edges: Interview with Sean Prentiss at BREVITY's Nonfiction Blog.